Considering that smartphones are small, expensive, and likely to be dropped at least a few times in their lives, iPhone insurance is something that appeals to a lot of people. After all, if you spent $700-$1,000 (or more!) on a phone, spending a few dollars a month to ensure that it will keep working for years to come may seem wise. If you're interested insuring your iPhone, familiarize yourself with the options below. While there are many companies that sell it, we actually recommend that you don't buy iPhone insurance. 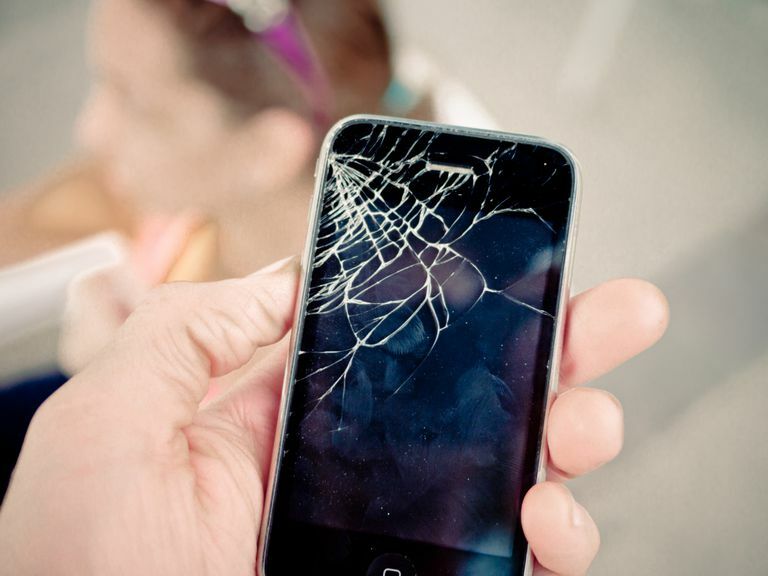 Find out why in Six Reasons You Should Never Buy iPhone Insurance. It may surprise you, but the one place you're definitely not going to find iPhone insurance — at least not traditional insurance — is from Apple. They just don't sell it. Instead, Apple offers an AppleCare extended warranty that covers support and some repairs for a flat fee (support calls above a certain limit, and some kinds of repairs, require extra payments). AppleCare only runs two years, so if you keep your phone longer than that you'll eventually be without coverage, but it's also a flat fee upfront, rather than a monthly payment. For a lot of users, AppleCare will work just as well as insurance. In fact, if you're going to look to spend to protect your iPhone, AppleCare is what we recommend. While Apple may not offer iPhone insurance, all of the major phone companies in the U.S. do. Here are some high-level details about their offerings. AT&T covers the iPhone with its standard phone insurance plans. Coverage runs from US$8.99/month to $34.99/month depending on how many devices you include. It includes screen repair, device replacement, and covers loss, damage, theft, and hardware failure, but limits you to two claims (up to 6 at some payment levels) per 12-month period. In order to get this insurance, you need to enroll within 30 days of a phone activation. Sprint offers its Sprint Complete insurance service for . That service costs $15-$19/month. All levels of the service include device repairs and replacement (though costs differ based on your plan). Some neat touches with Sprint Complete include cloud storage for your data and access to AppleCare services like phone support. T-Mobile's Protection <360> provides a fairly standard set of coverages for $7-$15/month. It covers accidental damage, loss and theft, and malfunctions. Bonuses include AppleCare support optons and free screen protectors. Customers are limited to three claims per 12-month period. Verizon doesn't make things easy: the company offers four options for device coverage. They are: $13/month Total Mobile Protection; $9/month Total Equipment Coverage; $6.75/month Wireless Phone Protection; $3/month extended warranty. The plans offer various kinds of coverage for theft and loss, malfunction, and damage, and various conditions on claims. Asurion is one of the leading provides of insurance, particularly because it has deals with phone carriers and resellers that allow customers to sign up for its service as part of their monthly phone bills when they buy their phones. Asurion's current website is worryingly short on details about costs and deductibles for iPhone repairs, but in the past its service cost $10-$12/month, with $99-$199 deductibles. GoCare offers iPhone insurance that covers water and traditional damage, data recovery, support for unlocked phones, and even offers to buy back your used device when you're ready to upgrade. While it does not cover theft, it will ensure jailbroken phones. The service runs $8/month, with a $75 deductible per claim and no limit on claims. You can also bundle multiple devices together into a single plan. Safeware used to sell iPhone insurance directly to individuals, but has since changed its approach. While the company still offers insurance, it now sells it through a network of partners, including schools, businesses, and colleges and universities. Details of insurance plans vary based on what partner you're buying a policy through. SquareTrade offers policies that cost $8.99/month and cover standard iPhone mishaps such as drops, spills, and other issues. While it doesn't cover loss and theft, it includes in-home service and will reimburse for repairs done through Apple's Genius Bar or local resellers/repair shops. Worth Ave. Group offers coverage against damage, theft, and acts of God for prices running between $6.50/month and $443 upfront (prices depend on your model, length of coverage, and whether you pay monthly or all at once). It covers theft, water damage, and does not limit the number of claims customers can make. If you're in search of iPhone insurance, you can also try the companies you already get insurance from. Many insurance companies that offer homeowner's, renter's, or other kinds of property/casualty policies can cover the iPhone under a "personal articles policy." Bundling policies together may also help you get a favorable price. Got a Cracked or Broken iPhone Screen? Do This. Should You Buy an Extended Warranty on Your New TV?